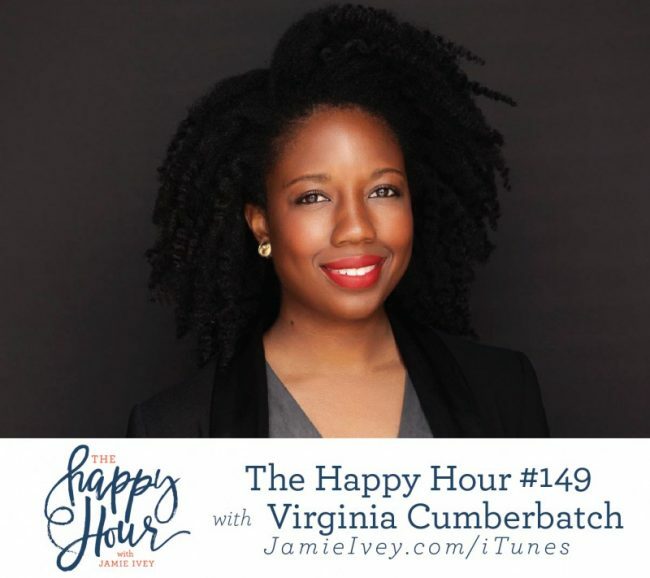 Virginia Cumberbatch joins me today for The Happy Hour #149. Virginia serves as the Director of the Community Engagement Center and Social Justice Institute at The University of Texas at Austin and is a co-founder of HUX STORYHOUSE, a creative strategies collective that uses culturally relevant storytelling to help organizations engage thoughtfully and authentically with markets across the Black Diaspora. Her first book, As We Saw It: The Story of Integration at The University of Texas at Austin will be released in 2018. In today's conversation with Virginia, we chat about the intersection of culture and social justice. She shares about her family life when she was growing up, and how her family modeled an integrated life for her. We talk about the importance of storytelling to personify issues and policies that may feel so distant. And finally, we hit a very light and noncontroversial topic - feminism! I hope you love getting to meet Virginia and enjoy our conversation. Do yourself a favor today and call a friend and grab a happy hour. It's hotter than heck and we need to stick together.